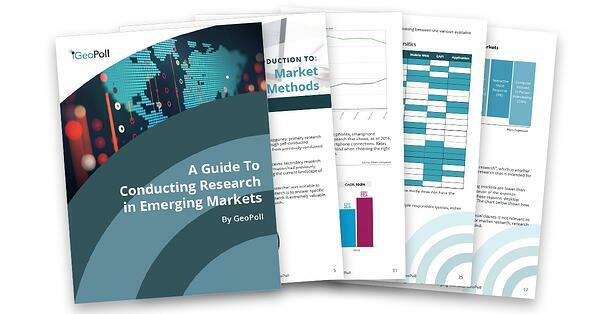 This free, 30-page report from GeoPoll is an in-depth guide to methods of market research and best practices for conducting survey research in hard to reach areas of the world. GeoPoll experts share knowledge gained through years of engaging consumers in emerging markets across the world, with special considerations for countries within Africa. This guide is a wonderful tool for any professional looking to learn more on gathering data. The power of understanding consumer’s behavior is unparalleled for accomplishing business goals. Download our free, 30 page report today!